For your body, face, hair and mind. L:a Bruket skin-care products provide a wide range of solutions carefully composed of natural and organic ingredients inspired by the Swedish coastal way of life. From oils and scrubs to lotions and creams, our products and treatments are created to cleanse, nourish and protect you from the harsh demands of coastal and urban living. 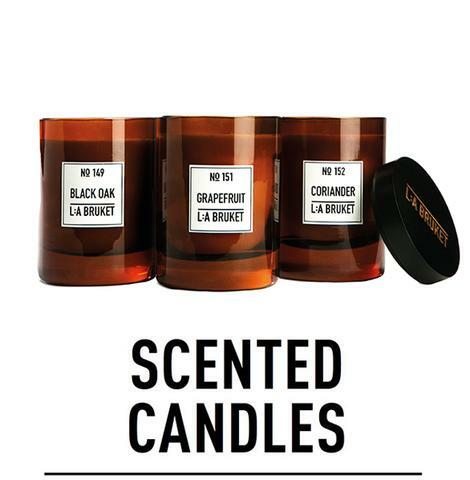 They will help you to maintain healthy, beautiful skin and give a wonderful scent experience. At L:a Bruket we believe it is important that the moments you have for caring about yourself should be the best reward possible and a great preparation for the day ahead. L:a Bruket was started in 2009 out of necessity. After a career in fashion branding and visual merchandising co-founder Monica Kylén decided to focus full-time on ceramics, and started making functional household products and accessories. She quickly discovered a need for organic and natural products to compliment her designs and help protect her skin from the ceramics process. Unable to find them, she set out to make them herself. When creating the brand, Monica was inspired by the spa traditions of her home, Varberg in Sweden, that date back over 200-years. Water, salt and seaweed provided the foundations for this coastal town, and have helped nurture a close relationship between the people who call it home and the everchanging natural environment. With her husband and co-founder Mats Johansson, and the dedicated team in Varberg, they have worked tirelessly to share their traditions, inspirations and products with customers all over the world. As a result, the brand has over 80 products in its range and is distributed in over 30 markets. L:a Bruket products have a timeless appeal stemming from a set of simple beliefs around Swedish Wellbeing; a philosophy ingrained in the people and country. Hard to put into words, it touches many aspects like holistic living, even skincare, to ensure a balance. Three beliefs that stand out above the rest; maintain and cherish a close relationship with nature, choose products that meet the demands of modern life, and take time to transform a daily routine into a rewarding luxury. This is the world of L:a Bruket. We look forward to sharing it with you. The three brand pillars below represent everything L:a Bruket stands for and the decisions we take when developing new products, and deciding the way to move forward, must refer back to these three pillars. Coastal Living – The dynamic border between land and sea is where L:a Bruket finds its inspiration. Not only the brand home, but a way of life; this lifestyle is founded in mutual respect that is adaptive and resourceful, finding solutions that work for mankind and nature alike. Based on attitude, not geography; L:a Bruket products fit easily in any environment we call home. Function first – Function does not exist in isolation and neither do L:a Bruket products. Born from our coastal home, each component, from the bottle to the scent, has a purpose; often, more than one. Products are developed with duality in mind. Inspired by the blend of modernity and traditional, coastal and urban, male and female; L:a Bruket products are designed for use, and to fulfil a need. 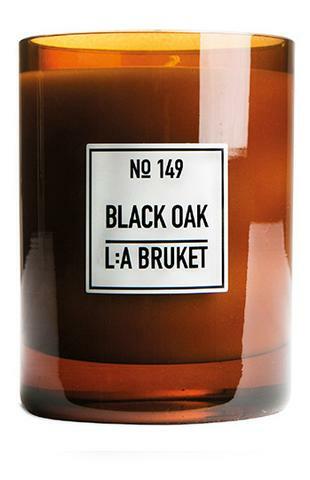 Natural ingredients – L:a Bruket believes that nature provides the functional tools to nurture our skin. Minimizing the industrial influences in production, allow for the natural and organic benefits of the ingredients and components to shine through. L:a Bruket is constantly seeking the best combinations and methods to harness the power of natural ingredients and new formulas. That way we can always be one step ahead.